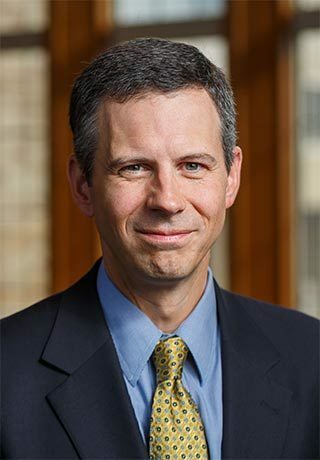 For the second time in two weeks, Supreme Court Justice Neil Gorsuch has cited work by Notre Dame Law Professor A.J. Bellia in an opinion. On Tuesday, the Supreme Court released opinions in Jesner v. Arab Bank, a case involving the Alien Tort Statute, a 1789 provision that authorizes U.S. courts to hear certain suits by aliens for violations of international law. The decision released Tuesday decided, 5-4, that corporations cannot be sued under this law. Gorsuch filed a concurring opinion to the majority decision, quoting Bellia’s work with Bradford R. Clark, the William Cranch Research Professor of Law at George Washington University Law School. Bellia and Clark co-authored “The Alien Tort Statute and the Law of Nations”, published in 2011 in The University of Chicago Law Review. This isn’t the first time a faculty member from Notre Dame Law School has been quoted during this Supreme Court session. Last week, Bellia was cited by Gorsuch in another opinion, and Professor Stephen Yelderman’s amicus brief was quoted during oral arguments in WesternGeco v. Ion Geophysical Corp. Originally published by Amanda Gray at law.nd.edu on April 25, 2018.